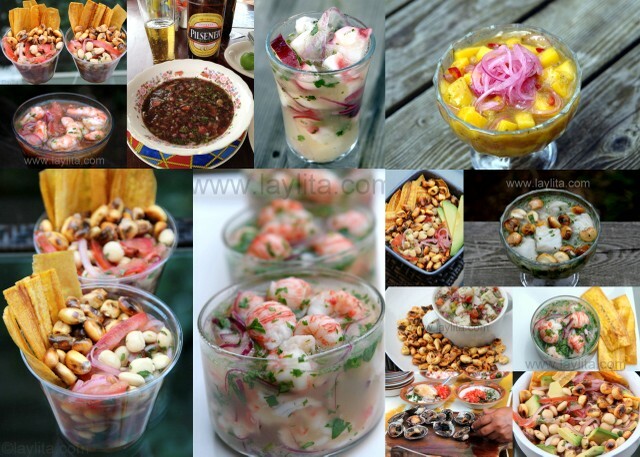 Ecuadorian ceviche, also known as cebiche or seviche, has some differences, and some similarities to Peruvian ceviche. 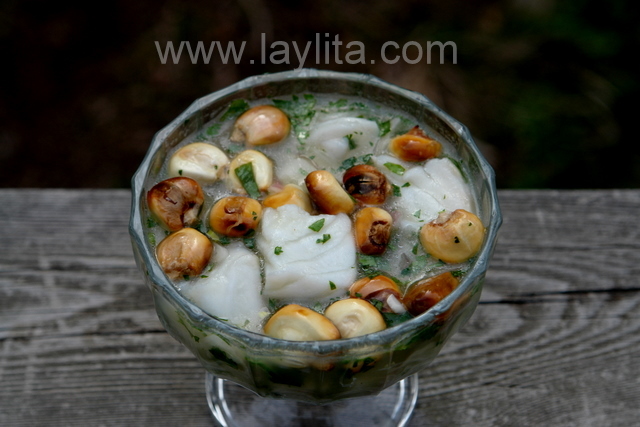 Ecuadorian ceviches are similar to Peruvian ceviches in that we have similar fish and seafood: corvina (a type of seabass), dorado (close to mahi-mahi), and black clams are very popular in both countries. 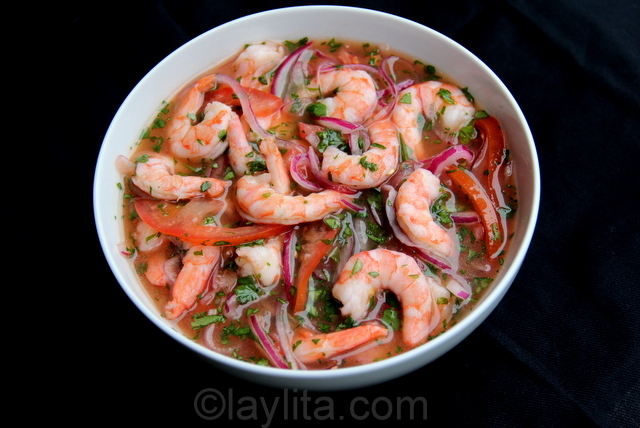 We also use the same type of small red onions, called cebolla paitena, and the same variety of limes, called limon sutil, which are very acidic and cook the seafood very quickly. 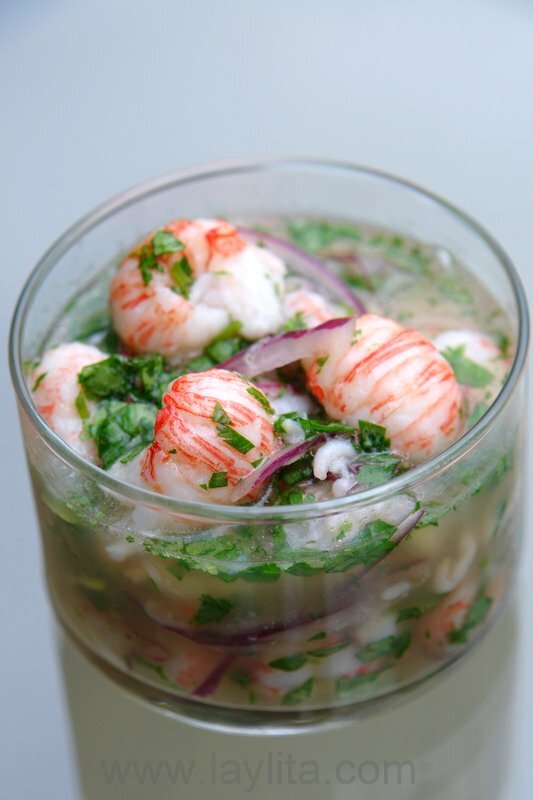 The main difference is in the way we serve and eat ceviche in Ecuador, we prefer to serve it with the juices that the seafood was cooked in or marinated in, so you will find that Ecuadorian ceviche has a more soupy aspect –which we love! 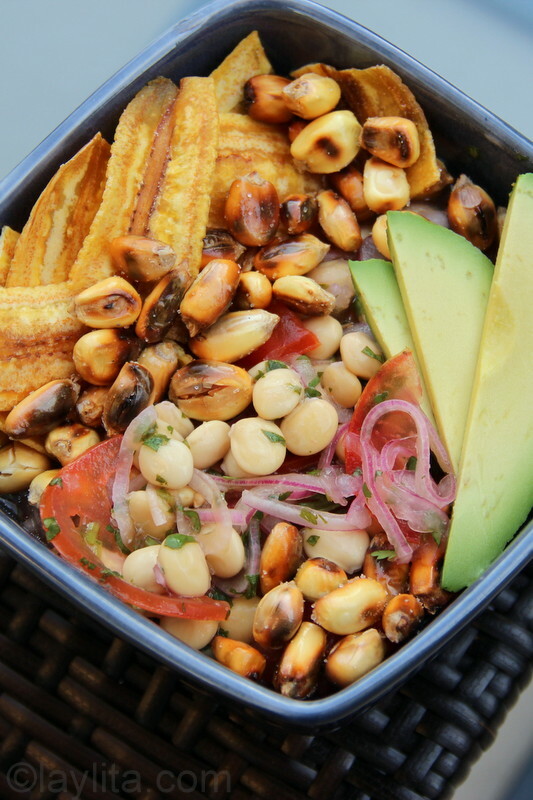 The most popular sides for ceviche in Ecuador are tostado, at type of corn nut or Andean popcorn, chifles or thin plantain chips, patacones or thick green plantain chips, and popcorn. 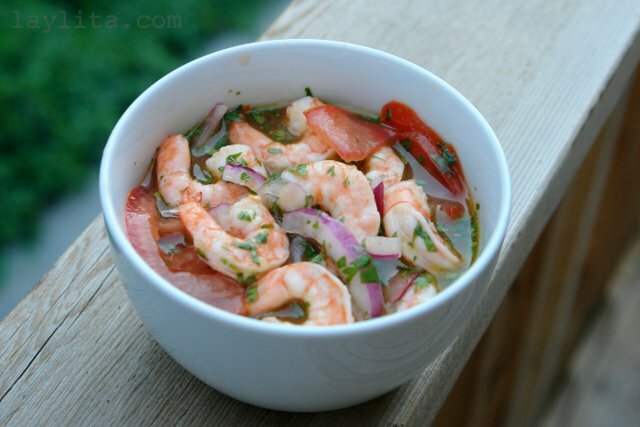 Some people also like to add ketchup and/or mustard to their ceviche, it’s a personal preference (I think ketchup is great with shrimp ceviche, but I avoid it in other types of ceviche). 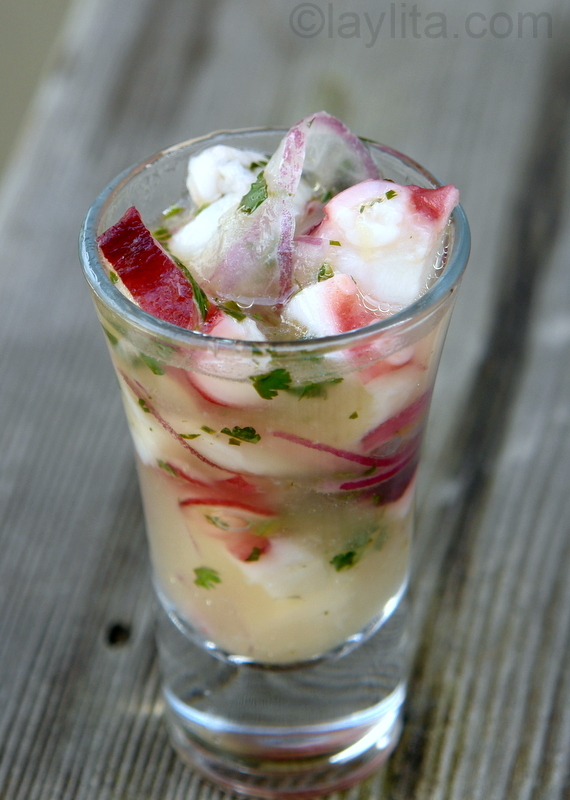 Peruvian ceviche also adds ajies or hot peppers to the lime marinade, more to add flavor than heat. 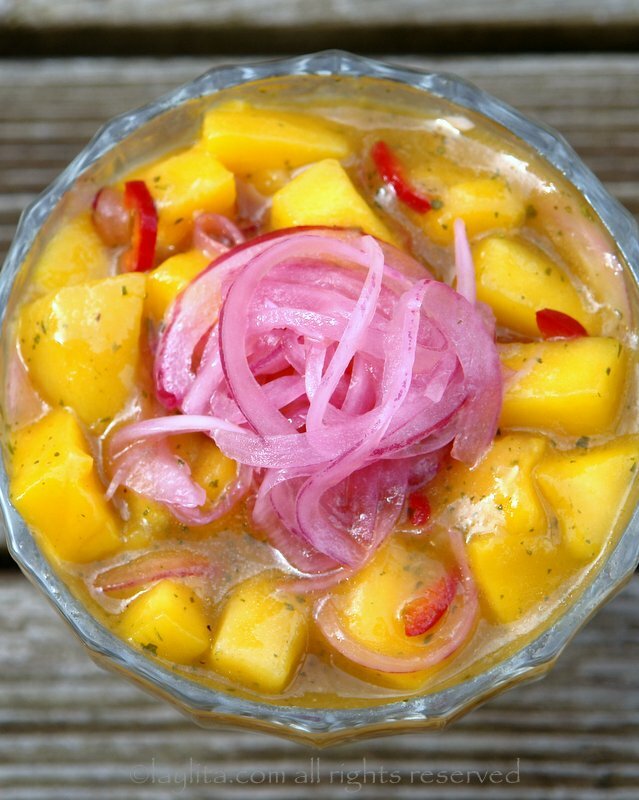 I actually really like the flavor that it adds, however in Ecuador most people prefer to have hot sauce on the side and adjust the level of heat that they want. 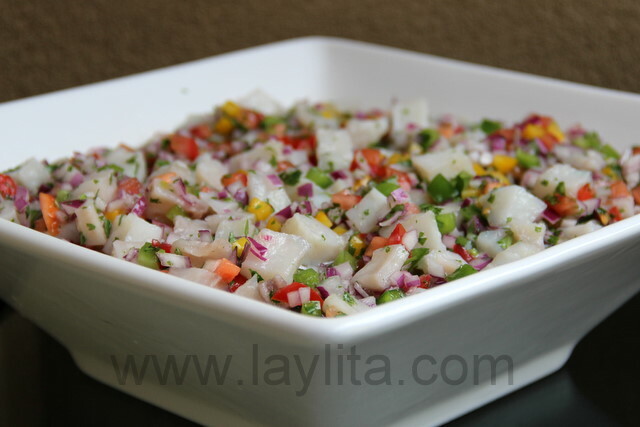 Peruvian ceviches are also served with sides like boiled corn and boiled sweet potato. 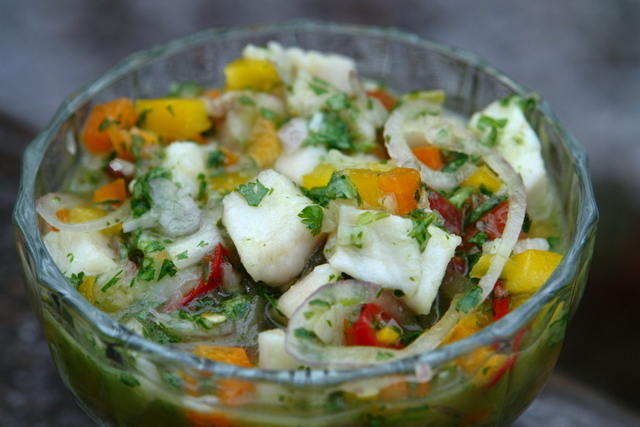 Mafi’s fish ceviche: Ecuadorian ceviche of fish cooked in lime juice and salt, mixed with onions, tomatoes, peppers, cilantro, and lime juice. 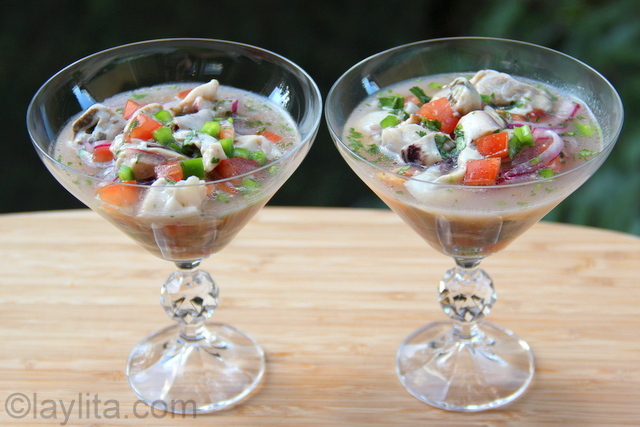 Oyster ceviche: Mouthwatering oyster ceviche recipe made with fresh oysters, lime juice, onions, tomato, bell pepper, cilantro and oil. Hi Pamela – I think you mean achiote seeds, also called annatto seeds. You can find them in the spice or Latin food section of large supermarkets, at Latin grocery stores, or online on Amazon. You can also simmer them with oil (instead of pork fat). You can also buy them ground or in powder, and then just add as needed/desired to food preparation.